Shorten The Time You're On The Sidelines By Reading This Free Guide!! Why isn’t this ANKLE SPRAIN going away? Am I going to have to live with ANKLE PAIN AND LIMITATIONS forever? Mistake #1: Thinking AN ANKLE SPRAIN will go away with rest. Mistake #6: Getting relaxing massages to temporary relieve AN ANKLE SPRAIN, only to find it comes back after the massage wears off. 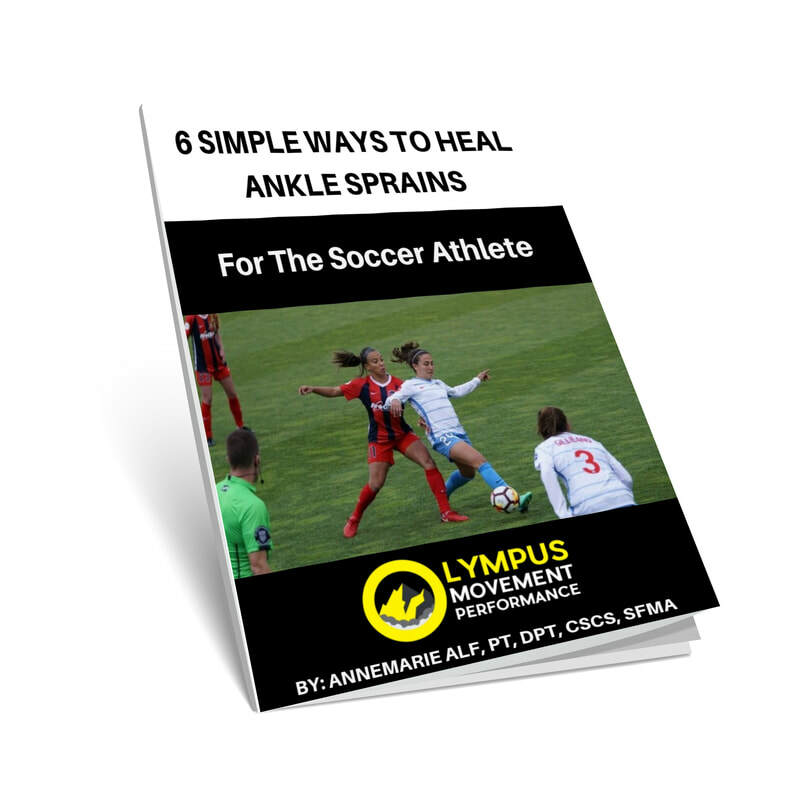 And that’s why we’ve created a free ANKLE SPRAIN guide for you. It goes over Ankle sprains in the soccer athlete (and you can click on the button above to download it). We save a limited number of spots each week for time for people who are not sure what to do about their ANKLE SPRAIN INJURIES. The one thing we can guarantee is that by doing nothing, your ANKLE SPRAIN AND PAIN won’t get better. "My daughter is an Irish dancer and started the teen class to improve her stamina and flexibility for dance competitions. She looks forward to the class, and really likes the workouts. We couldn’t be happier with all she has learned about fitness and strength in such a short time, and it has significantly improved her dancing! The trainers and facility are fantastic, we are so happy to have found Olympus!" Is Your Ankle Pain Urgent?